This is the second book in the Rundel series. Ben is now 15 years old and has been transferred to the H.M.S. Hawk in the Caribbean because the ship has no surgeon and he has proven his medical skills. He deals with a sick captain, a deranged midshipman, an alcoholic leftenant and an abused ship’s boy as well as the debris left by a most sloppy former surgeon. His political skills are called on when one of three devoted Irish brothers dies at sea and his two brothers demand that Ben get his body back to their old mother in Ireland. When he is finally replaced by a surgeon, he is shanghaied in a bar in Barbados and forced to serve as surgeon aboard an American slaver. Sickness decimates the crew and Ben makes a brave but foolhardy escape. He survives a sinking ship filled with beans only to be captured later by some Spanish pirates. Later Ben is court martialled for loss of the bean ship and is raked over the coals by a most vindictive captain Graves. While aboard the pirate ship, he must deal with the strange food, the Spanish language and one ship mate who is very religious and is suffering a mental breakdown from the stress of captivity. 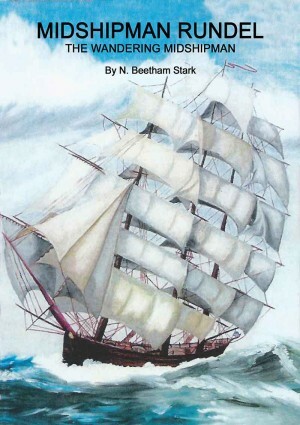 He manages to plan a daring takeover of the pirate ship and two of her prize ships. Then he is faced with bringing three French built ships into the English harbour at Barbados with a crew of only ten men. The fort guns are trained on his ships and he must deliver a 21-gun salute while flying bed sheets. This is an adventure-packed book with all of the insecurity and daring-do of a young man who is highly gifted. Ben brings to light the suffering that British sailors endured in service of King and Country in 1795.